Tatjana Petrov is a Juniorprof. at University of Konstanz, Computer Science Department in Germany, leading the group for Modelling complex, self-organised systems and one of the principle investigators in the newly established Centre for the Advanced Study of Collective Behaviour. 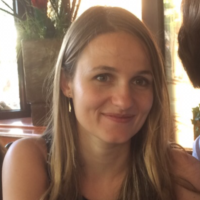 Prior to that, from 2013-2017, Tatjana has been a postdoctoral Fellow at IST Austria, supported by SNSF and ISTFellow grants, working with groups of Tom Henzinger and Calin Guet. Tatjana obtained her PhD in 2013, at the Department of Information Technology and Electrical Engineering, ETH Zürich, working with Heinz Koeppl, in scope of SystemsX initiative. During this period she held longer research stays at Harvard Medical School, EPF Lausanne, ENS Paris and Oxford. Tatjana obtained her BSc & MSc in Computer Science at the PMF Novi Sad, Serbia. Her work on model-checking gene regulatory networks was awarded the ETAPS EASST Best Paper Award.